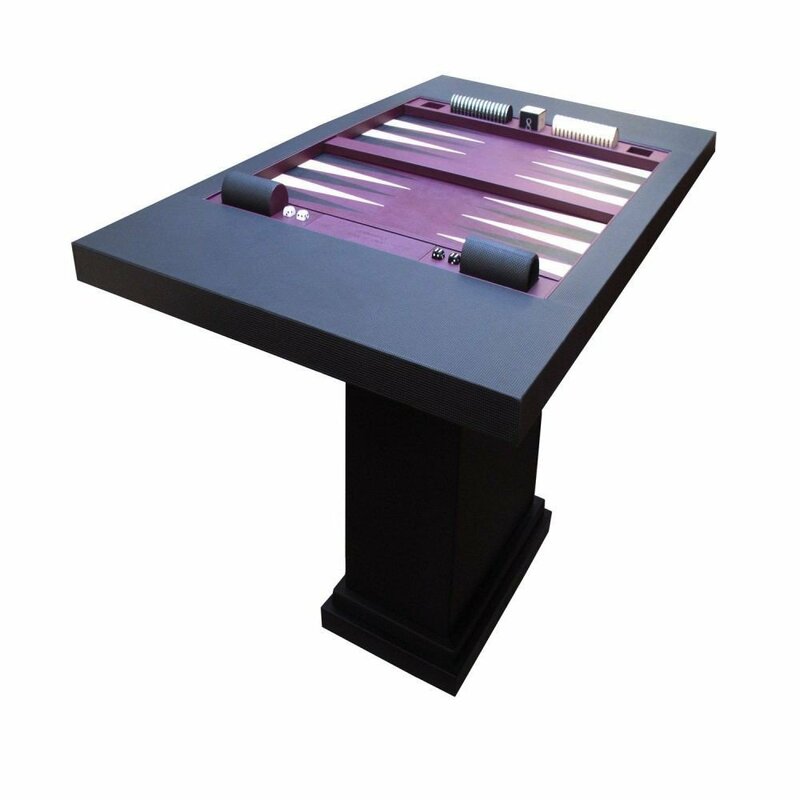 The best backgammon deserves a luxury table for playing on. 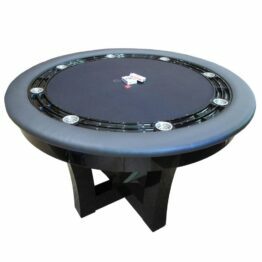 Handmade to order, these backgammon tables are available in many styles for all players. For the player who just can’t get enough of this fabulous game, this is a table hand built for that person. No compromise from our Championship boards has been made just because this is a table. SO all the usual Geoffrey parker features abound as to the various specifications one can have built into the table. For players who love the game; who better to make a luxury backgammon table than Geoffrey Parker, the finest backgammon makers in the world? Our backgammon tables are made from carefully chosen gaming leather; this ensures a speed of play for those who love a quick game. It’s also treated to ensure it is tobacco and wine resistant; this means it can be wiped clean from spillages when the game gets heated. Although the two tables featured in the photographs have been bound in semi-perforated supercar Automotive hide the playing field like all our top boards is made in the specially tanned Dauphin calf leather for a speedy game. Hand inlaid throughout in colours of your choice.